Part of the Flexi-Collection – Popular Classics Series which encapsulates all that is great about the wonderful range of musical styles produced by Holst, Elgar, Handel, Verdi, Tchaikovsky, Grieg, Bizet and Parry. The thoughtful scoring and arranging by Andrew Duncan now means that groups of all abilities have access to a truly flexible set of music for their needs. With world parts, rudimentary theory, terminology translations and large format typesetting, The Flexi-Collection ticks all the boxes when it comes to bringing interesting music to the training and junior band/brass group environment. This is one of the more difficult arrangements in the flexi-collection series, and as such will be best attempted after the easier ones have been mastered. The arrangement can be played all the way through as a solo piece or with a number of players playing the 1st Cornet/Trumpet part. The percussion part is very minimal in this arrangement (only 3 notes for the suspended cymbal) and is an optional part. Flexible scoring tailored to your needs – A perfect solution for expanding the repertoire of training and junior brass bands. The Flexi-Collection currently offers two series – Popular Classics and World Tour. Based on four-part harmony, these collections provide groups with the advantage of complete flexibility when they may not be balanced. If players or instruments are missing, the show can still go on! 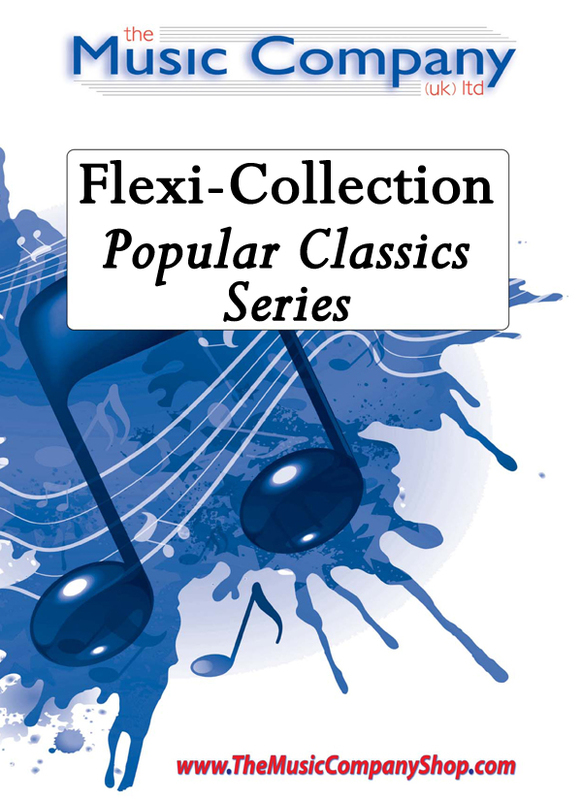 The Flexi-Collection – Popular Classics Series, encapsulates all that is great about the wonderful range of musical styles produced by Holst, Elgar, Handel, Verdi, Tchaikovsky, Grieg, Bizet and Parry. Available for Brass Band – The Flexi-Collection offers flexibility in every sense of the word.